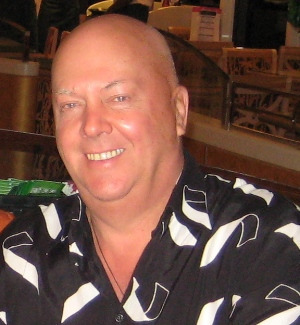 The Energetic cure massage was started by Eugeni Evsikov in 1997 in Germany and came to Tenerife in 2002. This method is based on old Russian healing methods, the Chinese ying-yang system, osteopathy, soft chiropractic, head and face acupressure and seeds and herbal treatment. After ECM treatment the Chi energy travels along meridian lines to all parts of the body, balancing the body energy and improving physical, emotional, mental and spiritual well-being. Soft manipulative pressure on energetic points encourages the release of stress throughout the body and a deeper sense of self-awareness. Face and head acupressure comforting and restoring to all levels-physical, mental, emotional and spiritual, giving relief from variety of conditions such as stress anxiety, sleep problems, depression and migraine. It includes different diagnostics like: spine, ears, teeth and meridian lines. Many people feel immediately results for long period of time. This method can help self-healing of the mind, body and spirit. It is possible to cure: Chronic Fatigue Syndrome, Insomnia, Period pains, Constipation, Headaches, Migraines, Back problems, Stiff neck, Dizziness, Sinusitis, Irritable Bowel Syndrome, Arthritis and Asthma. This method is complementary to all therapies and it has no contra-indications. The "Evsikov Technique" - personal programs for improving health. The "Evsikov Technique" was created by Eugeni Evsikov - Naturopath, Qualified Therapist for Traditional Chinese Medicine, member of Latvian Naturopaths association. Eugeni works from his clinic in the Hotel "Bitacora" in Playa de las Americas in Tenerife, in the Canary Islands. Since 2002 he has written and published over 50 articles on improving ones health using alternative medicine. Some of these articles are contained in his English language book "Good Health". Eugeni gives both personal advice and assistance and lectures on the self help treatments that can be brought about using the "Evsikov Technique". He has lectured in different countries and would welcome partnership to provide lectures and training courses in English, German and Spanish. Eugeni welcomes all visits to his clinic.